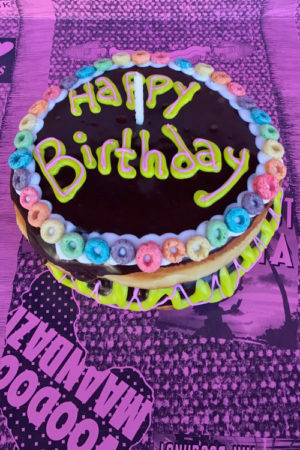 Follow your imagination and treat your kid to a Voodoo Doughnut ice cream cone styled doughnut! Great birthday party treats for kids of all ages. 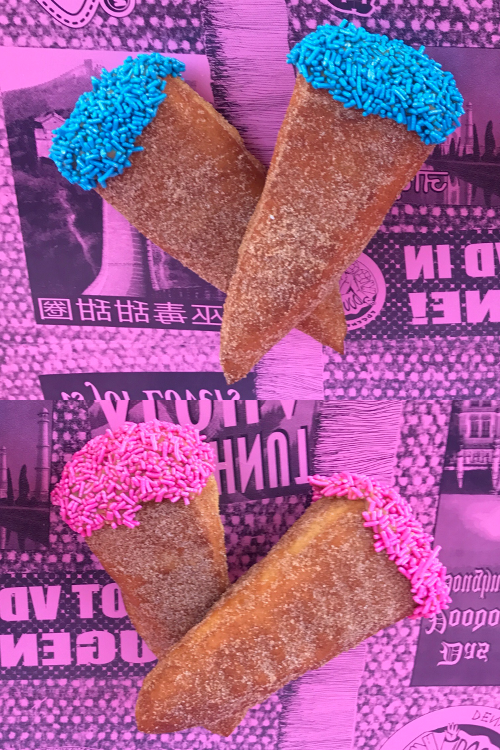 Start by selecting the local Voodoo Doughnut Shop where you’d like to pick up your ice cream cone doughnuts, then give us a call to order! Please note: We’ve discovered (the hard way) that shipping doughnuts damages their integrity. For that reason, after calling to place your order with us, we ask that you pick up your Traveler Pack at your nearest Voodoo Doughnut location. Don’t live near one of our shops? We have several Gift Certificate options that we can mail to you, so that you’ll be prepared for your next visit to Voodoo Doughnut!